Johnny Bang's Bang & Bump Shop is your Collision Repair Specialist in the Tomball, TX area. We can repair your car, truck or SUV and get it back to pre-accident condition. Now, having 30+ years in Tomball behind us and thousands of happy customers, we look forward to many more years of serving our community to the best of our ability. We're determined to have the latest equipment, the most knowledgeable employees and the best service so our customers will always come back. Mike Murphy, his grandfather, opened up his Bellaire auto body shop in 1948 and operated it for 23 years. There, Johnny was first introduced to the business at the age of 14 - and made $1.25 per hour. He said at that age, his love for cars really took off. He'd work after school and on the weekends in his grandfather's shop. At 18, he started on his first project car, a '27 T Roadster. When he was 18, his grandfather was in the market to sell his auto body business. Johnny remembers still being in High School when a 28 year old coworker asked him why they just didn't buy his grandfather's business themselves. Johnny's mother, Mila Bang, co-signed on the loan and did the company's book keeping. Bellaire Paint and Body kept him and his crew busy, and at the age of 21, he bought out his older partner. When Johnny was a kid, he'd come out to Tomball when his grandparents would see Dr. Patterson. He remembers there used to be a car dealership called "Ford's Chevrolet" Johnny said, "We'd come out here and Grandma would take us to get some ice cream at one of the local drug stores." Thirty nine years ago, he decided to make Tomball his home, and he remembers the long commute from here to his Bellaire shop. "I got tired of that long drive!" he said. His wife, Cathy, helped inspire Johnny to sell his Bellaire business to an ex-employee and build 3 stalls in Tomball. "I just flat told Cathy - if we're going to have any sort of life, we need to sell Bellaire Paint & Body and build something here in Tomball." Johnny took over his grandfather's shop in 1971 at what would be considered a bargain price today. But, there's a reason it didn't cost much back then. "He didn't have all of the equipment that you have to have today." he recalls. "The body business has changed so much that you have to have much more equipment. You also have to be concerned about the environment, all of the emissions, and stuff like that. It was a different era of auto body back then." Johnny says his grandfather was probably one of the best in the industry, even without having high tech tools at his disposal. But when it comes to tools, Johnny prefers to use only state of the art equipment. "We've got laser measuring equipment and blueprints of every car made." Bang says. "I pull a chart out and I've got all the frame dimensions of your car, top to bottom and all your door openings and everything. I can put your car back together to the millimeter." The auto body shop is staffed with ASE and I-CAR certified technicians with years of experience and have been with Johnny for years. The shop works directly with all insurance companies. "When you spend $40,000.00 on a vehicle, you don't want some shade tree mechanic working on it. You want somebody that's experienced, qualified and knowledgeable about your vehicle to put it back together to pre-accident condition." With only 3 stalls in 1984, Johnny opened his shop and worked it by himself until he had no choice but to expand his workforce. "People just started using me so I had to start hiring help." In 1986, Tomball suffered a hail storm that produced a significant need in the area for auto body repair. "It just tore up everything in this town almost," Johnny remembers, "We stayed busy fixing hail damaged cars. There were 2 other guys working with me at the time, and I said 'Let's show them what we're made of, let's rock & roll and show them some good quality work' and we did." For nine months, Bang and his crew helped restore resident's cars that were damaged by the big storm. Johnny Bang's is involved in the community by being a member of the ASA, NFIB, Greater Tomball Area Chamber of Commerce and the BBB. We are always striving to better ourselves for our customers and the community. ASA, the Automotive Service Association "advances professionalism and excellence in the automotive repair industry through education, representation and member services" according to the ASA website. NFIB is The Voice of Small Business, "The National Federation of Independent Business is America's leading small business association" according to the NFIB's website. 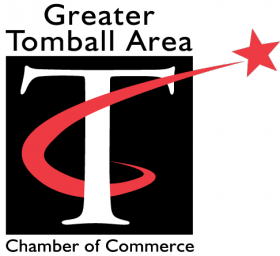 The Greater Tomball Area Chamber of Commerce "provides resources and fosters relationships that empower businesses to prosper", quoted from the Greater Tomball Area Chamber of Commerce's website. 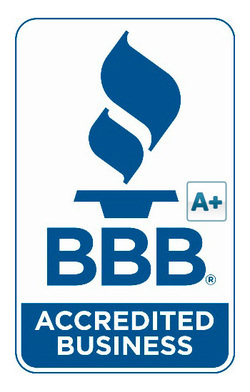 BBB, focused on Accredited Business, The Better Business Bureau "is a nonprofit organization focused on advancing marketplace trust. BBB has determined that Johnny Bang & Bump Shop, Inc. meets BBB accreditation standards, which include a commitment to make a good faith effort to resolve any consumer complaints", per the BBB website. Johnny Bang's Bang & Bump Shop currently holds an A+ rating in the BBB and has been an accredited member since 1991.